Informal gatherings took place to celebrate Aniridia Day 2018. They brought together people affected by aniridia to share experiences, stories and useful information. Member of the Interregional Support Centre for patients with Aniridia “ Iris” met in a cafe in Russia. Also in Russia, families met to talk and celebrate in a park. Glen and James, Eileen, Chris, Eleanor. Keith and Matt met at London Victoria station for drinks and dinner. They also broadcast live on the internet to wish the world happy Nystagmus and Aniridia Day . Emily, who has aniridia along with her son, hosted a meet up on Sunday for people in South Wales. Four people with aniridia plus siblings and parents met to chat about medical experiences and day to day support over tea and pizza. They are planning to have another get together soon. Aniridia Day 2018 was a global educational event. Thank you to everyone who took part and made it happen. ‘Mission control’ for the day was run by James and Glen in London who took time off work to manage it from home. Now that the day has ended, we want to say huge thanks to everybody who got involved. Whether you presented, posted, shared, fundraised, held a meet up, spread the word, or whatever: we couldn’t do this without all of your support and involvement. Like last year we used sociograph.io to review what happened on the Aniridia Day Facebook group during the 2018 campaign. In short there was about half the activity in 2017. People gave 4,300 reactions, shared 333 times and wrote 400 comments. Today the group has 784 members, up 17% on last year. Meanwhile our Aniridia Day Twitter account put out 68 tweets which had 19.500 impressions. Our account was visited 400 times and 27 mentions. We were very pleased to see the Aniridia Day posters featured in many photos. We will review the #AniridiaSight campaign later. I can vouch for the fact that he’s worked incredibly hard for over 12 hours straight to keep things going, on top of all the preparations before the day. And he still has work to do after today to assess and collate everything. His job is far from done! I’m glad I’ve been able to ease the burden in some ways, but even so, I wouldn’t have been doing any of my work if it weren’t for him doing all of his. So thank you James, you were superb today! There were a total of 12 hours of webinars broadcast in 4 different languages, and speakers from Russian, Egypt, Spain, Germany and the UK. 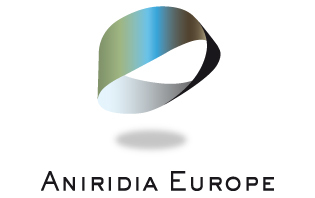 Big thanks as well to the Aniridia Day Organising Committee , who spent a lot of time and effort planning and preparing. As a witness to some of their discussions, I’ve seen how much work has had to go into it – booking presenters , organising the schedule and testing the technology are major tasks on their own, as well as publishing content on the website, promoting the day and so on. Given the positive reactions we’ve had from many people, it’s been well worth it. In particular, this Facebook post by Haya in Abu Dhabi summed up why we do it. Firstly, I would like to say thank you so much to whoever set up this Facebook group. And the webinars today were amazing and absolutely inspiring. I have never met anyone with aniridia before and at that time I felt isolated and different (in a negative way). It means a lot to me to see and meet so many other people with aniridia who are so strong in spirit. It is also so great to see so many people raising awareness. My eye condition has affected both me and my family in a lot of ways. As I’m sure it has for many families worldwide. It has impacted my schooling (in the past). Unfortunately I have been rejected by some schools due to my visual imapirment. It has impacted my social skills, friendships, independence, confidence. But this day isn’t about how we’ve fallen down. But it’s about rising up today. and NOT just today, every day as each day can be a challenge. Thanks to my family and support networks on social media, my new school. aniridia hasn’t stopped me from doing things I love and enjoy, as I’ve just finished my A-levels, I love travelling, photography and sight seeing such as sunsets. Having aniridia will never stop me from knowing how beautiful this world is. Looking around me and outside makes me appreciate the vision I do have. 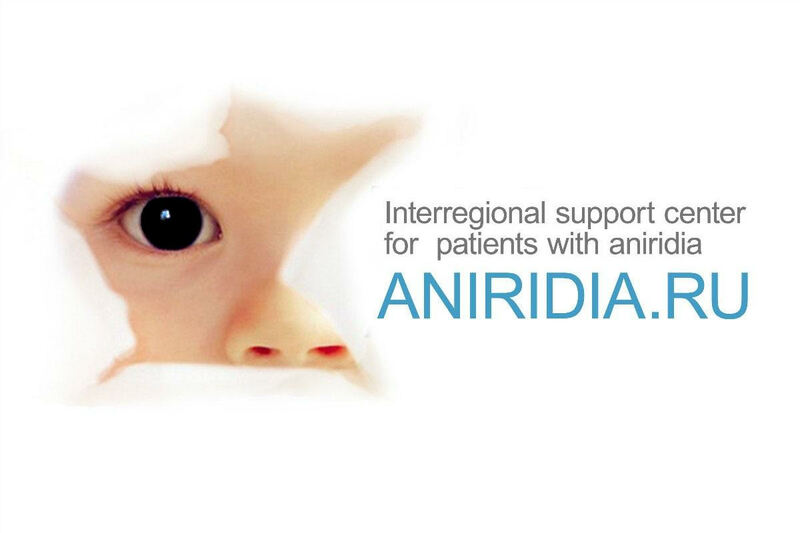 I hope everyone who has aniridia out there in the world is staying strong. We can do this and I believe in you all! We will never give up, we will carry on fighting for awareness, rights, equality, more research. I know some people may feel sorry for us. Mabye becausewe have multiple eye conditions and that’s okay, But it’s honestly not needed. Personally, my eye condition has been a blessing. It has created a strong and positive spirit inside of me. I choose to see aniridia as not a barrier but as an ongoing hurdle which we can overcome one step at a time. Many people around me, particularly my family have made realise the beautify of difference. I wouldn’t be here if it wasn’t for my family. Therefore I choose not to place ‘dis’ in my ability. James rounded off the day with a Live video to warmly thank all the participants, and highlight some of the things we learned from them. 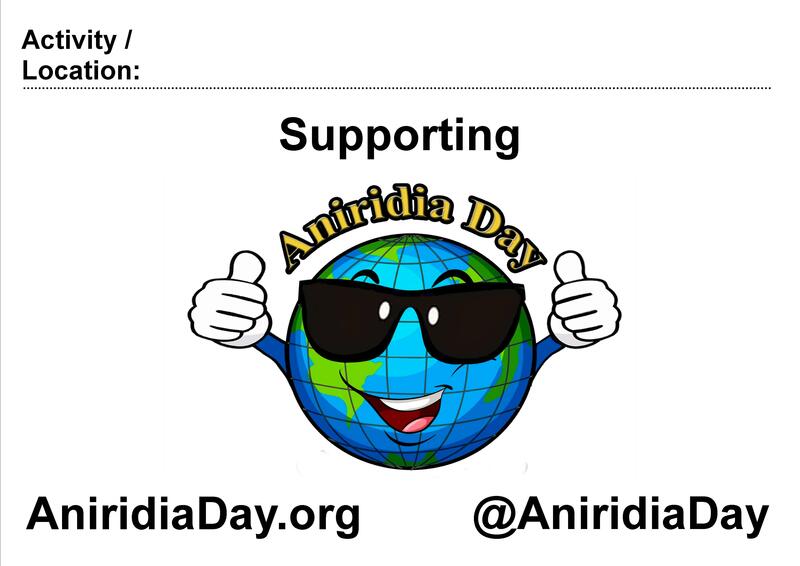 If you can get involved with the planning and running of the Aniridia Day 2019, or just have some ideas, that would be awesome: Contact us. 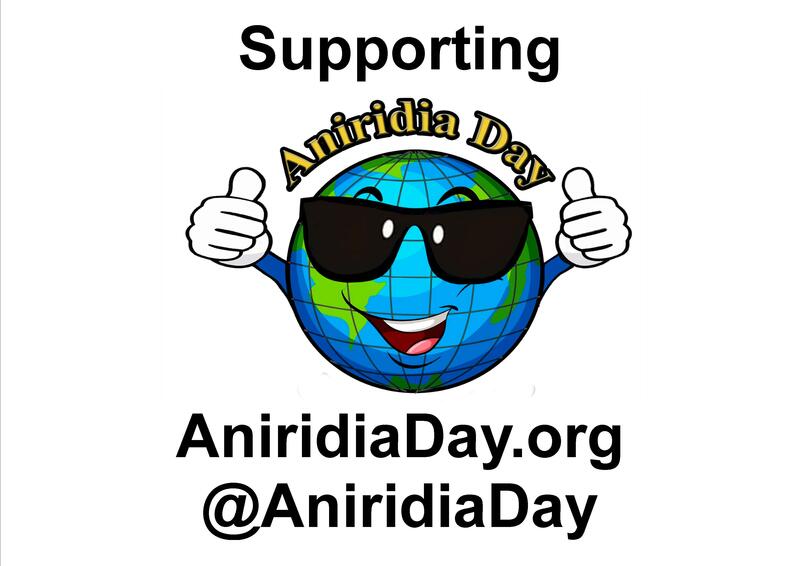 Aniridia Day can only get bigger and better if we have a bigger group of people involved from the outset. This may only be the event’s 2nd year, but both years have already shown in abundance what a beneficial impact it has. There is overwhelming evidence that getting involved enables us to make a big difference to many people though support, reassurance and information, including people with aniridia who have never previously had contact with anyone else like themselves. So your time will absolutely be well spent. So what shall we do next year and who will do it? We are will have a wonderful series of online presentations on Aniridia Day 21 June 2018. People around the world will give live talks about aniridia that you can watch on your computer wherever you are. You will be able to ask questions too. Last year in the promotional video for our Shining Success campaign, Lisa promised to start learning a French. She started this year. Last week she prepared a presentation about herself in called J’ai une Aniridie (I have aniridia). Brilliant! There were 110 different people commenting and another 870 reacted to posts. They gave 8,500 reactions, shared 277 times and wrote 400 comments! Today the group has 566 members. Meanwhile the Aniridia Day Twitter account tells us in June our tweets were seen 9,000 times, were retweeted 88 times and liked 75 times. A family in the UK have won a pair of high quality sunglasses for posting the best #ShiningSuccess story on Aniridia Day. This post on Facebook by Caryl received an amazing 161 Likes or Loves! As a result Mari has won a pair of special sunglasses for people with aniridia, very kindly donated by Eschenbach and Prats. WAGR is a extremely rare condition of which aniridia is just one part. For more details visit the International WAGR Syndrome Association. Our thanks go to the companies, congratulations to the winners and our unending gratitude to everyone who wrote, commented on, reacted to and shared posts on Aniridia Day.